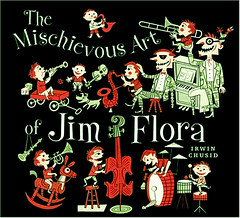 The Frederator Studios Blog: Jim Flora. I'd to point out the fantastic classic art of one James Flora. *Check out the fantastic postcard Tim painted for us at Oh Yeah! And, his own cartoon, too.